We are well into that time of year when racers—including me—are looking for sponsors for the 2018 season. That means it’s also a good time of year to remember how important it is to act like a professional at all times. When you’re talking to potential sponsors, it’s important to act professional and stay true to yourself. You also need to carefully consider the sponsors you are pursuing to make sure they are a good fit for you and your racing program. Professionalism goes well beyond the sponsorship search. Whether you’re interacting with a sponsor, meeting fans, or just talking with other competitors, it’s important to maintain a professional image at all times. When I transitioned from club racing to pro racing, I really got to see how professionalism comes into play. A lot of club racers just want to get in a seat and drive, but at the professional level, you are representing your sponsors and your team. 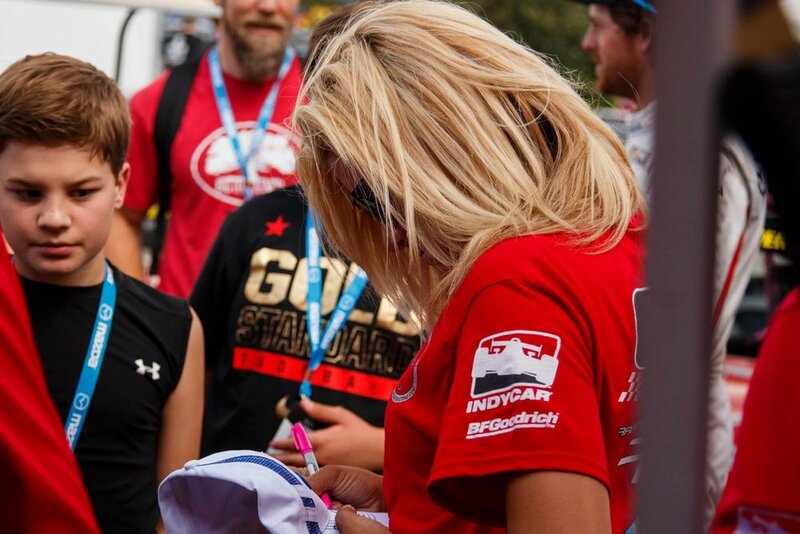 You are a brand ambassador just as much as you’re a driver. It’s especially important to remember that in post-race interviews! There are times when you might be angry or upset. Last year at Road Atlanta, I got hit by a competitor and went from 6th to 16th, so of course I was mad while I was in the car! But when I got out, I had to remember how lucky I am to even be racing in the first place, and how grateful I am to my sponsors for giving me the opportunity. That gracious attitude should show in post-race interviews! Harrison Contracting was my sponsor for the 2016 and ’17 seasons, and everyone from the office came to the race at Road Atlanta. 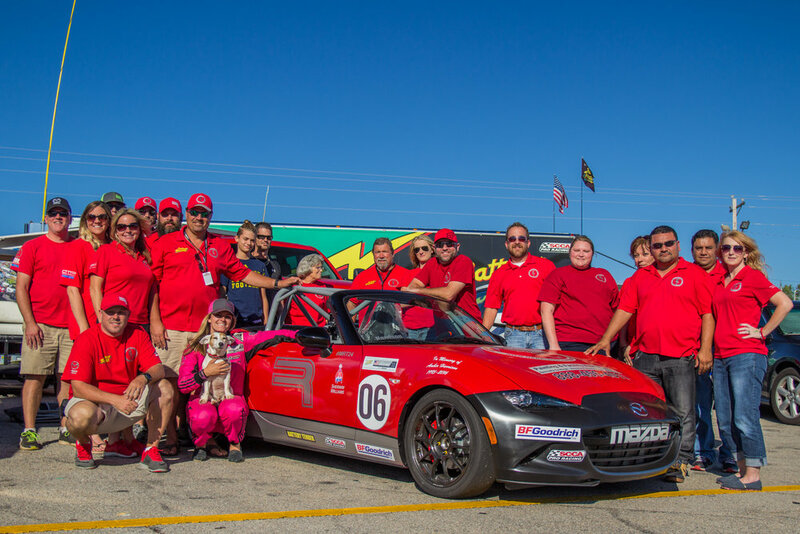 There were about 35 people there representing Harrison Contracting and our Racing Analytics Mazda MX-5. I was disappointed with how the race went, but I was also grateful to have all of that support. 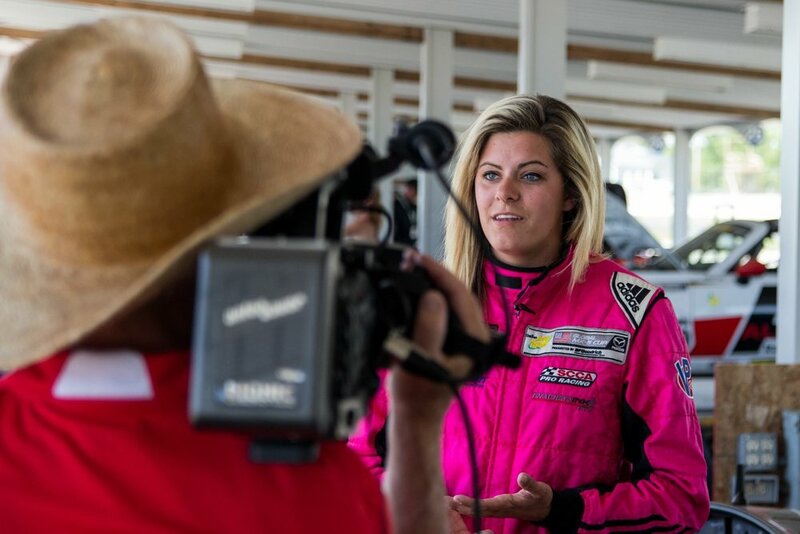 Being a professional means being able to deal with what happens in the race and still be welcoming and appreciative to your sponsor when they are at the track with you. Their support is so important! Social media is another place where you need to be professional. Are you making comments about other drivers or series online? You might need to keep your negative opinions to yourself because it’s not going to help your image, and you don’t know who might be watching. It could be a sponsor, a potential sponsor, or a team you want to drive with. Part of being a great brand ambassador is being a great representative online, too! Whether it’s social media or at the track, it’s best to remember to treat people the way you want to be treated! By being an honest and caring human being, you’ll avoid pitfalls and gain a lot of respect from sponsors, competitors, fans, and media.